Alavekios Custom line of beautiful tangible products. Wall Portraits, Storyboards, custom framed with European frames, Desk and gift prints, Desk frames, The Italian Albums are a luxurious library bound book. The prints mounted to the pages are printed on a thick 100% cotton rag fine art paper. 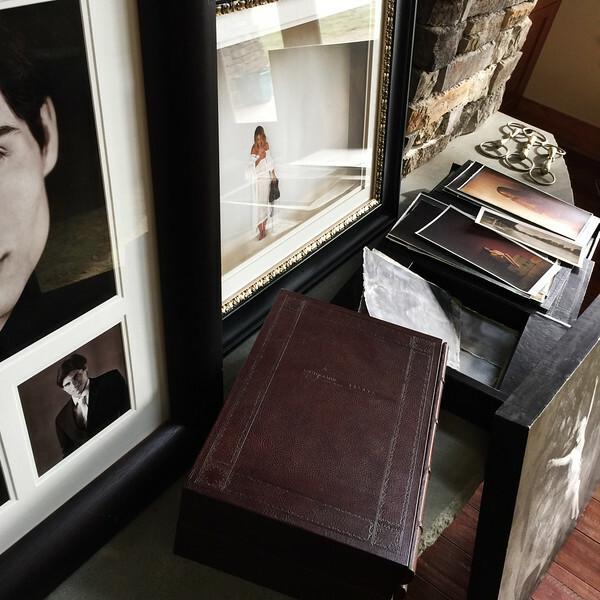 Photographs are varnished for protection and luster. Wax and oil based varnishes and finishes are available within the Signature line. Alavekios Italian Albums and Journals are available for purchase as an ala carte item. Alavekios Photographic Essays Studio also offers a few other types of albums.